UPROSE Hybrid Electric Bus, originally uploaded by veesvision. The ceremony was on Monday. I'll have a posting with more photos and information tomorrow AM. 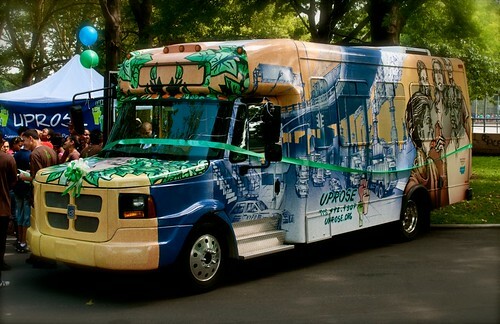 Visit www.uprose.org for more information about this bus and the Environmental Justice Tours UPROSE will be conducting.